To implement these overall goals, the Technical Committee decided to build a distributed computing system. Students would have access to (for the time) high performance graphical workstations, capable of 1 million instructions per second and having 1 megabyte of RAM and a 1 megapixel display. Upon logging into a workstation, they would have immediate access to a universal set of files and programs via central services. The user interface would be consistent despite the use of different hardware vendors for different workstations. A small crew would need to be able to maintain hundreds of workstations, leading to the design of "stateless" or "thin client" workstations. The project spawned many technologies that are widely used today, such as the X Window System and Kerberos. Among the other technologies developed for Project Athena were the Xaw widget set, Zephyr Notification Service (which was the first instant messaging service), and the Hesiod name and directory service. The X Window System originated as a joint project of Project Athena and MIT’s Laboratory for Computer Science, and was used by Athena. When Project Athena ended in June 1991, the computing environment was renamed to the Athena system, and administration was transferred to the MIT Information Systems organization (MIT’s IT department). 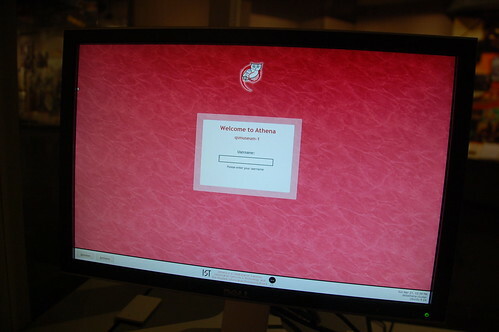 Athena is still used by many in the MIT community through the computer clusters scattered around the campus. It is also now available for installation on personal computers, including laptops. This is one big sim devoted to AIDS/HIV. It includes a number of settings as well as informational resources, and meditation/meeting places. IBM has an area devoted to their distributed computing for AIDS research project. There is also a Memorial area with stories and pictures. 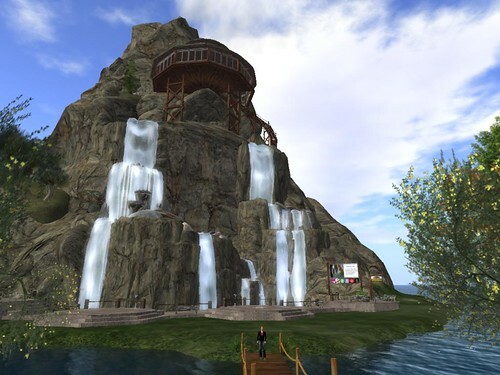 A wonderful Memorial Falls area is pictured.